Hingham, Ma | June 1, 2017 – Best Chevrolet is showing customers its environmental credentials and was named a 2017 General Motors certified Green Dealer. 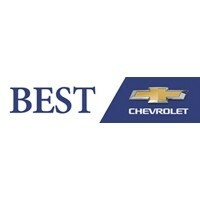 According to the General Motors, Best Chevrolet has a proven track record in areas such as energy reduction, renewable energy use, water conservation efforts, recycling, onsite nature habitats and community outreach. For more information on GM’s environmental commitment, visit its sustainability report and www.generalmotors.green.